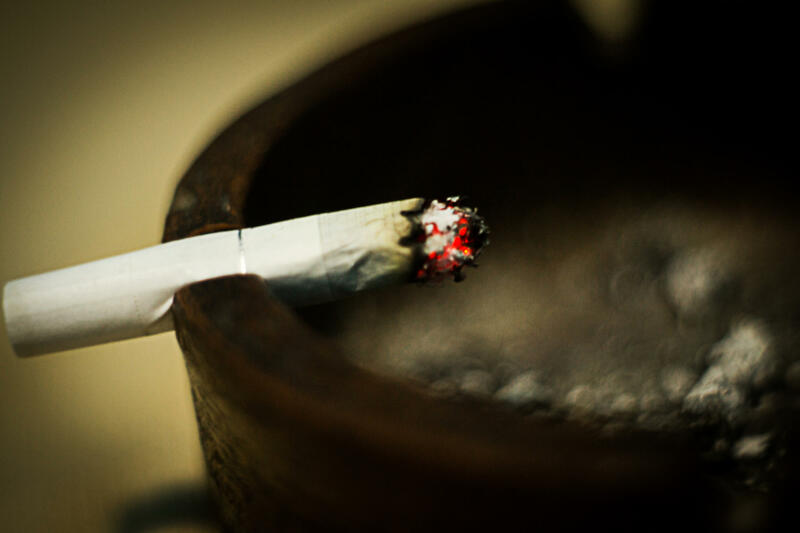 Cigarette smoking is the leading preventable cause of death in the U.S. It harms nearly every organ in the body and is linked to health conditions like cancer, heart disease and stroke, according to the Centers for Disease Control and Prevention. And when a mother chooses to smoke during pregnancy, she is harming not only her health, but the health of her baby. Smoking while pregnant increases the likelihood of preterm labor, ectopic pregnancy, and problems with the placenta. It also increases a baby's odds of birth defects and low birth-weight. Smoking during pregnancy has even been linked to increased risk of Sudden Infant Death Syndrome (SIDS). Despite this, many women still choose to continue smoking when they get pregnant. And it's a choice an increasing number of women in Michigan are making, according to a recent report from the Michigan League for Public Policy. The report, Right Start 2016: Annual Report on Maternal and Child Health, found the rate of expectant moms in Michigan who reported smoking while pregnant increased by 18% between 2008 and 2014. The rate of births to Hispanic mothers smoking while pregnant increased the most - rising by over 46%. The rate increased by 16% for African-American mothers, and 17.5% for white mothers. 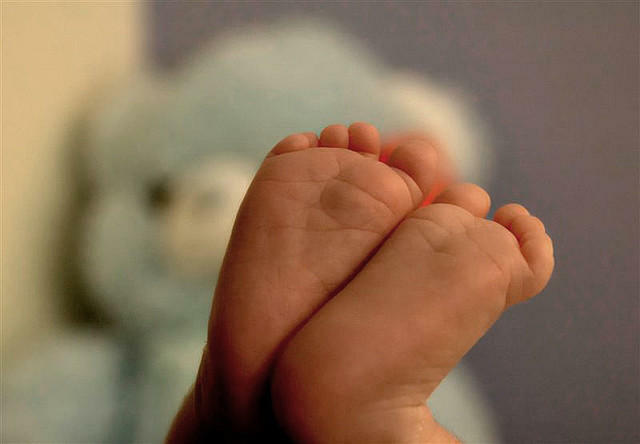 Preterm births statewide also increased by 20% over the same period. With everything we know about the adverse effects of smoking while pregnant, why are more women choosing to do it? Researchers say, primarily, funding cuts have led to a lack of targeted outreach and services to help pregnant mothers quit smoking. In the 2017 budget, including state and federal funds (excluding Medicaid dollars), smoking prevention and cessation initiatives were funded at $3.78 million, which is down 34 percent from budget year 2008. Currently, there is $10,800 targeted to prenatal outreach, up $800 from the 2008 budget. These funds are for local and statewide programs and one goal is to eliminate disparities by race/ ethnicity, geography, income level, type of job and gender and sexual orientation. Alicia Guevara Warren is Kids Count in Michigan Project Director at the Michigan League for Public Policy. To ensure that Michigan kids count, we have to help them and their mothers get the right start, and this report shows that more needs to be done to promote and support healthy pregnancies. With all of the information out there on the risks of smoking, the increase in pregnant women who are smoking in this day and age is particularly startling. With these numbers, you would think it is 1986, not 2016. Funding and programming cuts clearly have consequences, and the state urgently needs to reinvest in evidenced-based smoking prevention and cessation efforts for pregnant women. Researchers have previously examined ways to reduce smoking in pregnant women, including incentive programs. A 2014 study published in the journal Preventive Medicine found that vouchers in escalating dollar amounts for pregnant smokers more than doubled smoking abstinence rates during pregnancy and were associated with better fetal growth. One of the implications of my study is, why don’t we think about using that money for this kind of incentive approach to keep the women from smoking and to keep the babies from in utero smoke exposure. Increase cultural competency training with all health workers and grow a diversified workforce. All mothers want the best for their babies. Because of institutional and geographic barriers, efforts to prevent and help expectant mothers quit smoking need to be targeted and evidence-based. Smoking is one of the most preventable behaviors. We need to do more to ensure that moms and babies are healthy. The full report, localized press releases, and individual profiles of 22 Michigan communities can be found here. Nearly every day, a silver Subaru makes its way through the tiny towns and white pine woods of Wexford County, in northern Michigan. Behind the wheel is Jeannie Schnitker, a nurse with the state’s Maternal and Infant Health Program. Last week, I tagged along for a ride.